Hahaha…xoxo! 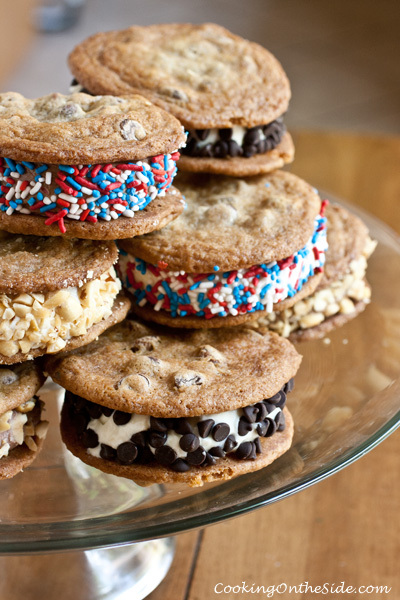 Cookie Ice Cream Sandwiches have got to be one of my top 3 all-time favorite summer treats. For better or for worse, they don’t take very long at all to make (and are devoured almost as quickly) and they’re always such a hit. 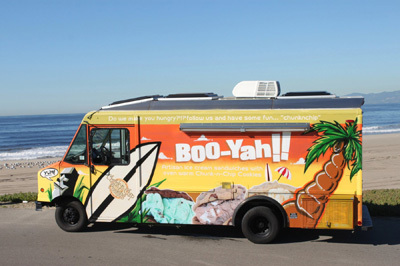 I can’t talk about ice cream sandwiches without giving a very proud shout-out to my friend and former co-worker, Claudia Gonzalez, who started the popular Chunk-n-Chip ice cream sandwich truck in LA and Orange County several years ago. She inspires me so much, not only for her insanely good cookie ice cream cookie sandwiches (she calls them “boo-yas” and serves them on soft, warm fresh-baked cookies – best thing ever!) but also for her entrepreneurial spirit. Back in our corporate lives when she and I worked in adjacent cubicles Claudia was just beginning to explore starting a cookie business. She’d come up with the name Chunk-n-Chip. There was so much to learn but she took on each challenge with an open mind and a determination to figure it all out. Fast forward seven years, I was glancing over the calendar of another food truck when I saw a date schedule alongside a Chunk-n-Chip truck. “Oh my goodness, she did it!” I exclaimed out loud. The last time I caught up with Claudia and her truck at a local event here in San Diego I joined a huge line of folks waiting for boo-yas. 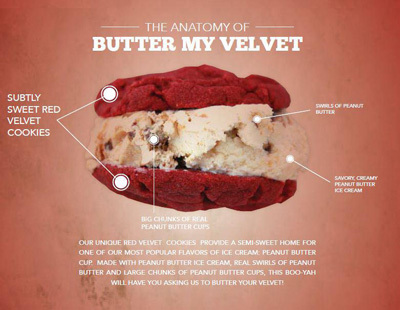 My personal favorite is the Butter My Velvet – peanut butter ice cream sandwiched between two warm red velvet cookies. Boo-ya, indeed! The MBA in me loves to observe passionate people pursue their dreams and become successful…and if they can manage to do it with treats like this, all the better. Because I wanted to flair up my Cookie Ice Cream Sandwiches with sprinkles and other accoutrements I froze the cookies to allow everything to remain intact. 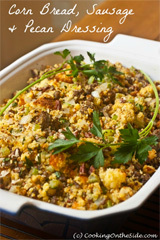 But – holy cow – do yourself a favor and try one with warm cookies (and a napkin) at least once. Best. Thing. Ever. Sprinkles, nuts, mini chocolate chips, etc. Freeze the cookies ahead of time so they’ll be more likely to stay intact as you assemble the sandwiches. 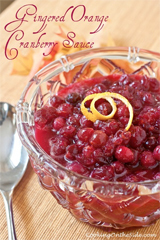 Take your ice cream out of the freezer about 5 minutes before you’re ready to start assembling for easier scooping. At the same time, go ahead and stick a tray in the freezer so it’ll be ready to hold your finished sandwiches. Arrange your sprinkles or other decorations in shallow bowls, ready for dipping. For each sandwich: Lay one cookie on a flat, clean surface, bottom side up. Place a small, round scoop of ice cream on the center of the cookie. Close the sandwich with a second cookie, gently pressing down so that the ice cream spreads to meet the edges of the cookies evenly. Carefully roll the sides of the sandwich in your decorations (gently press them into the ice cream to help them stay put) and immediately transfer the sandwich to your tray in the freezer. Alternatively: An ice cream sandwich made with warm cookies is one of the best dessert treats I know! However, it’s also one of the messiest. If you go the warm cookie route, serve each one as soon as you assemble it and don’t bother with any decorations (trust me, no one will mind!). 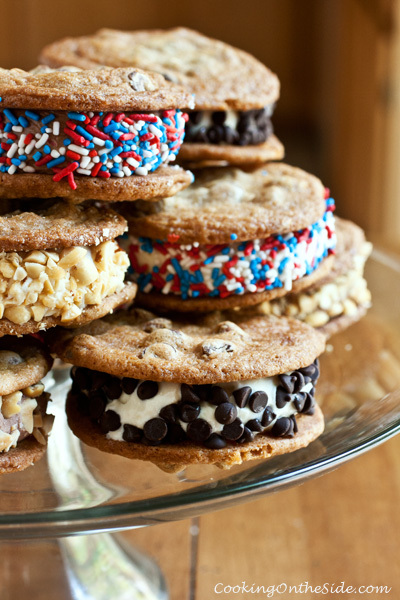 These look like the ultimate ice cream sandwiches! I LOVE ice cream and I LOVE cookies so the two together should be heaven. I’m going to try this the next time I make ice cream. If you’re really intent on having soft cookies and toppings, you could try putting the ice cream in a pan and placing it in the freezer to firm up. Then use cookie cutters to cut out disks and roll them in the toppings. Refreeze and then place them between the soft cookies. I don’t know how well that would work but its something to consider. Wow, now I REALLY want an ice cream sandwich. Look at all these awesome ice cream sandwiches! I will take one of each. I’ve used slice and bake cookies before. Not as professional but cookies and ice cream are always good. Ok now this is not a good thing to be reading about at 11:15 at night because I am TOTALLY craving some of these right now. 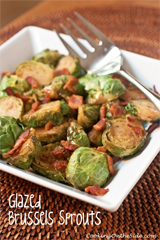 I’m not sure if I should let my kids know about these either…they will be begging for them all the time for sure! But they are definitely going on the “must try” list.